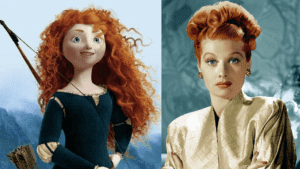 Every redhead with curly hair knows we just don’t wake up with perfect bouncy curls. It takes time! 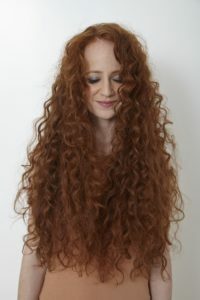 Not to mention, natural red curls are frizz prone and takes a lot of effort to style. Some prefer to put a straightener to it to refrain from having to “deal with” the curls. 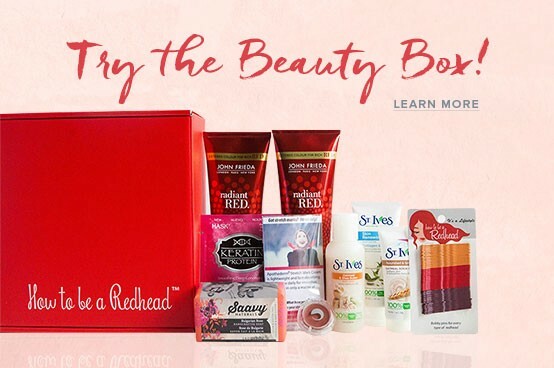 But, my advice is to take full advantage of your beautiful natural texture. The first and very important step to create an amazing hair-do (regardless of the texture) is a great quality shampoo and conditioner. Curly hair needs lots of hydration, so to keep curls shiny it’s super important to use a sulfate-free, hydrating shampoo and conditioner. Another great tip (and an obvious one) is to pick shampoo and conditioner for curly hair, these are formulated specifically with ingredients that will ensure that your curly hair looks completely defined. Shampoos can sometimes be harsh on the curls because they strip the oils from the hair. This can then cause frizz. Another option is co-washing which is short for “conditioning washing.” This no-shampoo mentioned is sometimes referred to as “no-poo” shampooing. In a nutshell, it means skipping shampoo and using solely a conditioner. 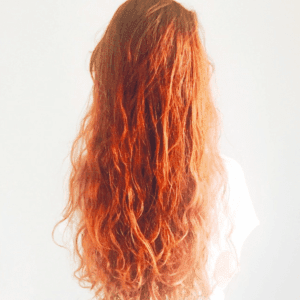 The result is smoother and easier to manage red hair —almost like second-day hair. 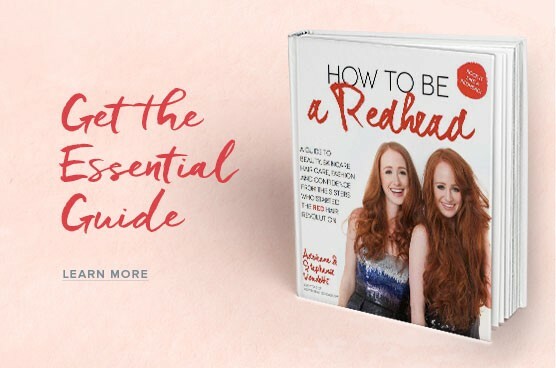 If you are a redhead gal that chooses a color protectant shampoo and conditioner over a curly haired formula — don’t worry! As long as you apply a deep moisturizing conditioner or treatment to hydrate your curls, you will be all set. A good treatment will ensure your curls are full of shine, body and definition. Distribute evenly, leave in for 5 minutes and rinse. Apply at least 1 or 2 times a week. Even if your hair isn’t dry, remember that curly hair needs all the love you can give it! 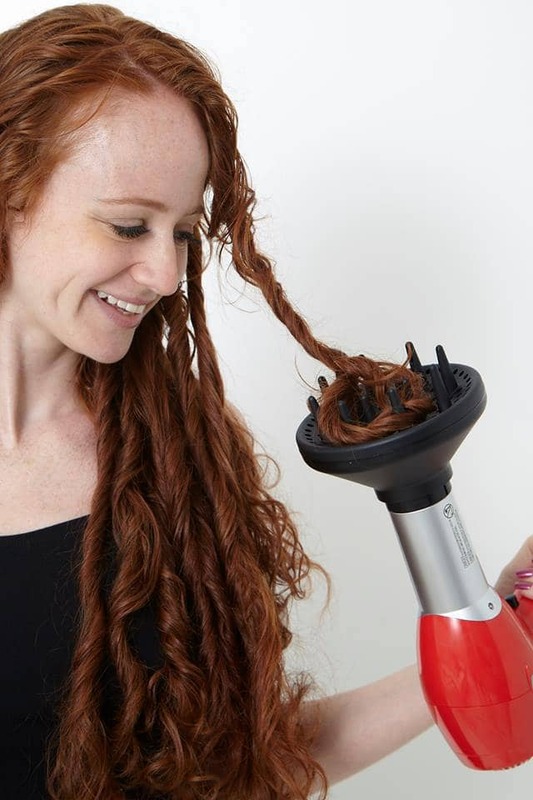 The most recommended way to dry your curly hair is by using a hair dryer with a diffuser attached to it. This will give your curls extra definition and make sure to apply a styling product before and a soft finishing hair spray after. Blow drying with a diffuser takes a little time and practice. If you are a first-timer, take big pieces of hair, gather at the diffuser and hold close to your head. As far as styling products go, choose a mousse, serum or any product with anti-frizz on its name. 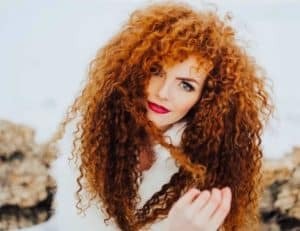 Mousse has been a staple for curly redheads for years (even though it sounds a little 80s) because it gives hair the right amount of definition. Just remember to apply a fair amount because if you apply too much you will end up with crunchy hair. Once you are done with the previous steps, selecting hair accessories is fairly easy. 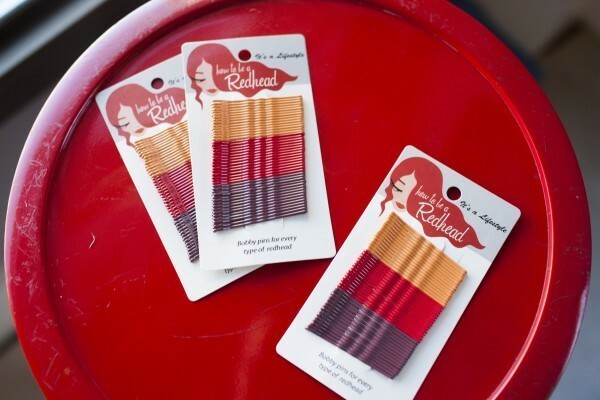 Redhead bobby pins, fun hair bands, some hair jewelry and so on… Your red curly hair will definitely turn heads. 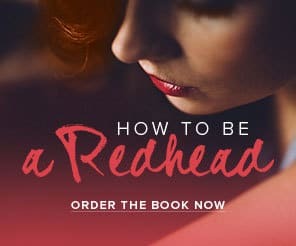 One rule of thumb for curly redheads is: when you are done styling, try not to touch it! 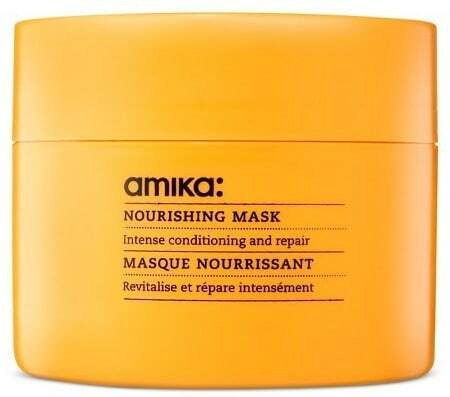 This can create frizz on your curls and your fingers can take some of the product out of your hair. You will look beautiful once you style it, so why ruin it? !